Day 2 of Redskins training camp luckily featured lots of clouds before drenching rainstorms rolled through following the conclusion of practice. 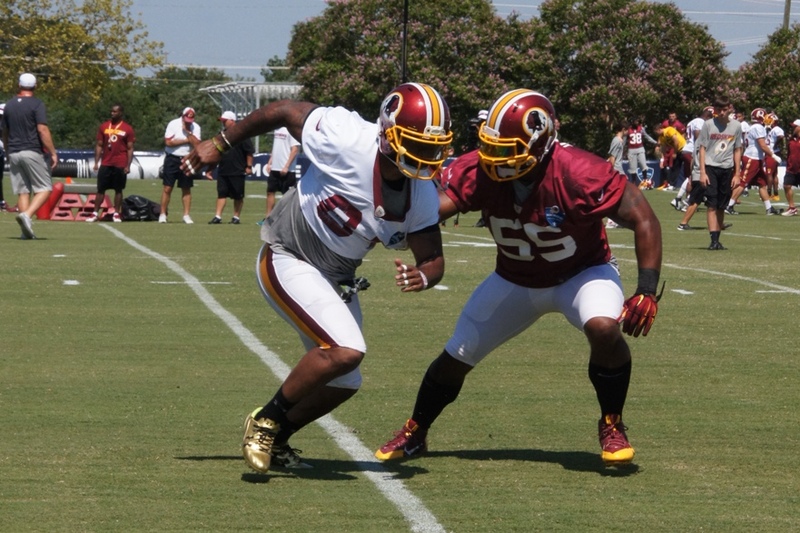 Redskins training camp wasn’t quiet for long. On the second day, the team signed troubled linebacker Junior Galette while it was announced that cornerback Bashaud Breeland was suspended one game for his citation of marijuana possession during last year’s training camp. During practice Breeland suffered an apparent leg injury and was carted off the field. He is expected to miss several weeks. 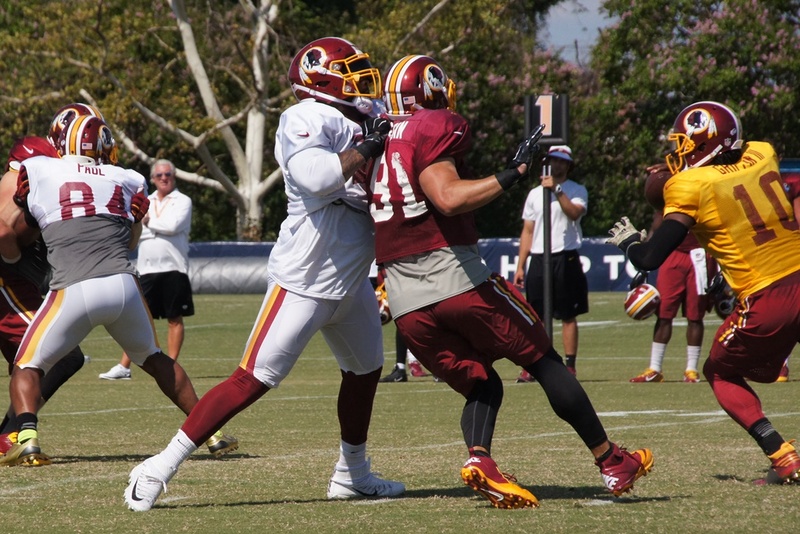 Tight end Niles Paul goes against linebacker Adam Hayward in special teams drills. Photo by Terri Russell.